Pediatric Development Center of Atlanta was started by occupational therapists Kimberlee Wing and Kirsten Protos, a mother-daughter team passionate about providing children and their families with the support they need to thrive. PDC-Atlanta specializes in pediatric occupational therapy and speech language therapy services. We also provide feeding therapy, individual and family counseling services, and social skills groups. Our clinic is conveniently located in Smyrna, Georgia. We serve families from all across the Metro Atlanta area. We are also able to evaluate and provide services for families traveling from other locations in Georgia, neighboring states, and families from foreign countries. It is our philosophy that all children are unique and therefore deserve therapy services that are designed to meet their individual needs. We also believe that treatment activities should be engaging, effective, and fun. The highest quality therapy combines creativity with innovative and evidenced-based treatment strategies. We believe that a comprehensive and successful treatment approach involves open communication and collaboration with parents, physicians, and teachers. Family members and professionals are an integral part of the goal-setting and problem solving process. A family-centered treatment approach is essential to every child’s progress and families should be provided with the support, education, and resources they need to help their child succeed at home, in the classroom, and in the community. Children deserve a safe, caring, and structured environment where they can feel comfortable exploring activities to build their confidence, maximize their potential, and have fun. Pediatric Occupational Therapy: Although we use a range of treatment approaches specific to the needs of each child, we have an extensive background in sensory integration (SI) and sensory processing disorders. 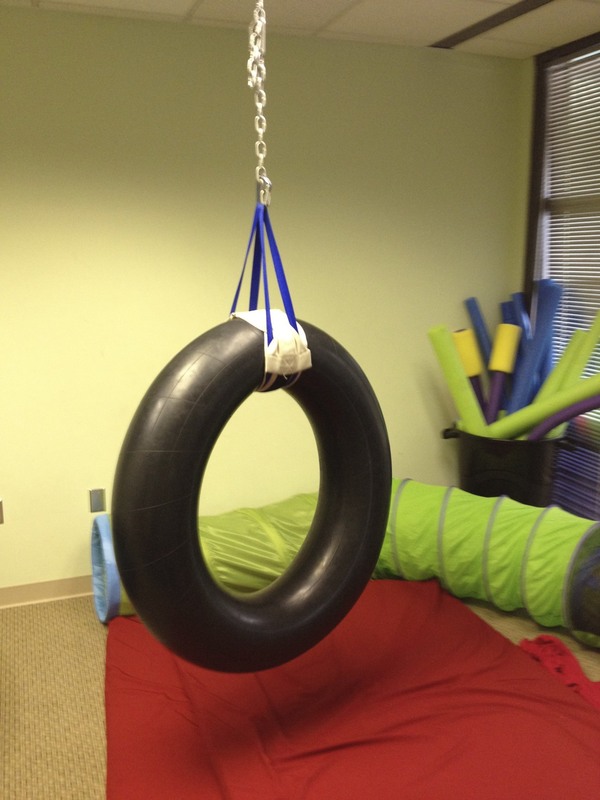 We have over 30 years of experience in sensory integration therapy and evaluation. Our lead occupational therapists are certified to give the Sensory Integration and Praxis Test (SIPT), a highly sought after evaluation that provides the most comprehensive look at a child’s strengths and weaknesses in the areas of sensory processing, motor skills, behavior, and attention. Our occupational therapists are also certified in Therapeutic Listening, an intervention approach used in conjunction with sensory integration therapy that has shown amazing results with many different types of diagnoses! For more information on sensory integration and sensory processing disorders, click here. Pediatric Speech Language Therapy: Each child is treated as an individual with the goal of obtaining functional communication skills in all settings. Initially, an extensive speech and language evaluation will be completed which focuses on five areas of communication; Voice, Articulation, Fluency, Oral Motor and Language skills. A language sample is also obtained to analyze the ability of the child to communicate in a natural setting (i.e. during play, conversation, etc.). During the entire evaluation, the child’s pragmatic skills are also closely observed to determine the appropriate use of eye contact, topic maintenance, turn taking, initiation of topics and symbolic play. The evaluation report provides extensive information regarding a child’s strengths and weaknesses in all areas of communication. Speech therapy will focus on research based strategies for intervention and remediation of specific communication disorders. For more information on when to refer a child for a speech evaluation, click here.